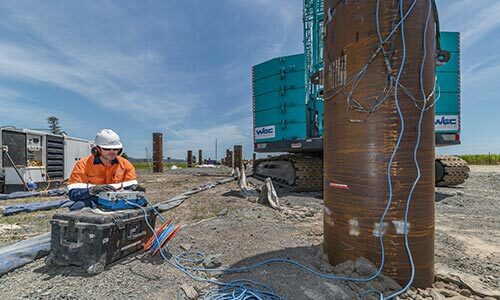 FSG has been Australia’s largest independent pile testing company since 2010. Our pile testing services are offered nationally either via site attendance by one of our experienced testing engineers, or by remote testing with our engineers logging in to the equipment via modem and directing the test via mobile phone. 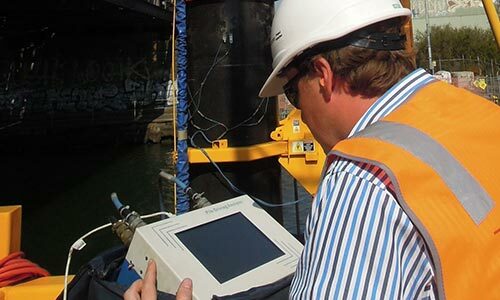 Dynamic pile testing is a highly specialized field, and no-one is better placed in Australia than FSG to provide dynamic pile testing services. Our PDA testing and CAPWAP® Analysis services are led by Julian Seidel, who has over 30 years experience in PDA testing practice and research. He has lectured, and provided training workshops around the world, as well as developed an on-line training and certification program for PDA testers. We support our staff in undertaking the Pile Dynamics Inc. “PDA Proficiency Test” and have one Expert level tester, 2 Master and 3 Advanced testers making us the clear technical leader in the field. FSG’s testing and analysis is to the highest standard. We only use the latest 8-transducer equipment and we have our own calibration equipment to ensure that strain gauges meet ASTM standard requirements. CAPWAP® analysis is always operated-controlled (not automatic) for ALL tests to ensure geotechnically credible answers of the highest quality. At FSG we are always looking at the big picture – do the results make sense? Do the tests paint a consistent picture? Can we develop simple and robust driving and acceptance recommendations? What are the project risks? How can we value-add to the project? FSG is not a testing company, its testing services are fully integrated into our design, consulting and construction advice services. We always aim for a best-for-project outcome.